After a months delay our contractor has commenced this years thinning programme in an area close to the Sawmill site. 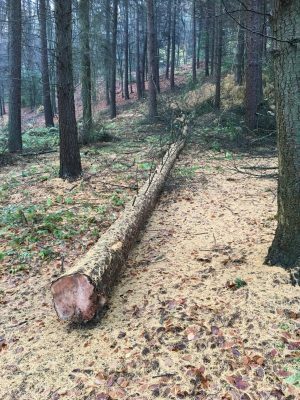 The weather has helped this year and after a dry summer the ground conditions are good to extract with minimal damage to the woodland floor. Our contractor is using chainsaws to fell and a tractor and winches to pull the trees down to the Middle Track. There should be no heavy machines to cause deep ruts and to break up the track surfaces. 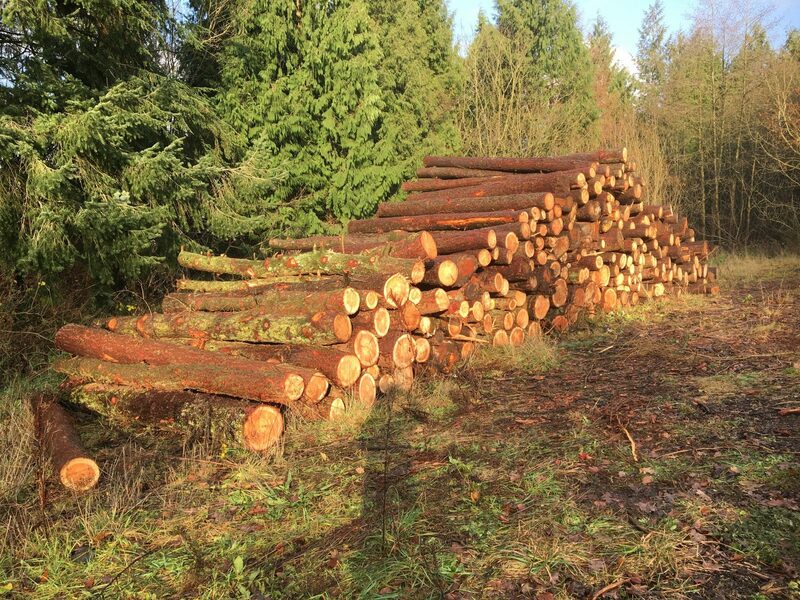 The stacked timber is being collected soon after felling and sent to Flixton, a local sawmill, who will process mainly for firewood which this year is in short supply. Some of the larger tree sections may be good for fencing posts and rails and may well end up in your garden next year. We will evaluate how successful this years thinning programme has been and look to use this approach in future years. 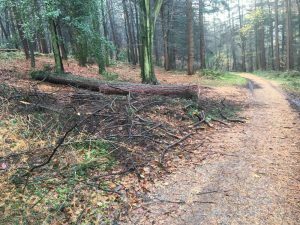 We will be re investing any income RWCE gets from the thinning for restoration work on paths and tracks and to help with our scheme to grow our own local young trees for planting in the woods. 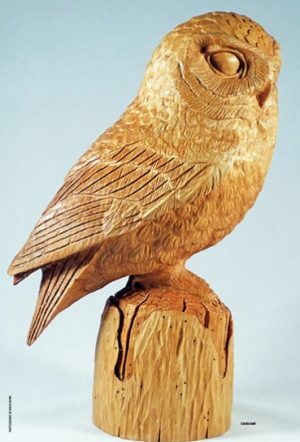 We are looking to see the timber used in our own local economy and to reduce the long distance haulage of the timber. 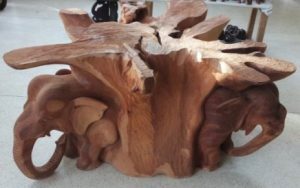 We would be happy to look at providing timber to local woodworkers from selected trees for more creative use of the timber. Anyone with an interest can contact us through our Contact Us Link.